Picking a deodorant to help prevent body odor seems straightforward, until you head down to the drugstore aisle overflowing with options. Various factors may influence your choice of deodorant, including deciding between roll-on and stick formulas. While the purpose is the same, you may prefer certain features of one type over the other. Roll-on and stick deodorants often come in similar package sizes. Roll-on deodorant is available in a liquid or gel, and it often leaves a wet feeling on skin. Sticks are solid, so they don’t leave behind a wet sensation. 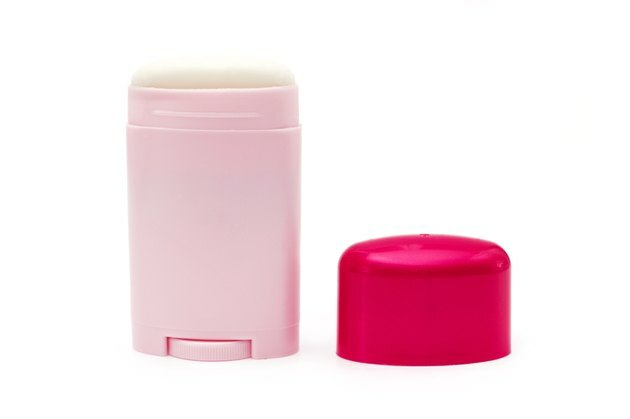 You may find stick deodorants easier to control, thereby wasting less product. Unlike antiperspirants, deodorant doesn’t prevent sweat. Instead, the function of deodorant is to neutralize odor under your arms with the help of antimicrobials. Antimicrobial agents are present in both roll-on and stick deodorants. There are different types of agents to look for. Common antimicrobials include polyhexamethylene biguanide and triclosan. Antimicrobials are the key to deodorant’s power against body odor. Still, many brands scent their products to make you feel more confident that your armpits are odor-free. Essential oils may be added to both roll-ons and sticks. Such oils give an added touch to roll-on deodorants by enhancing a smooth application. Silica is a common ingredient in stick deodorant that absorbs excess grease from the essential oils. Fragrances are optional – you will likely find scent-free products within both formulas that will likely work just as well as scented versions. Alcohol is sometimes used in deodorants to help the products absorb more quickly. It has an added bonus of killing odor-causing bacteria. Due to the wet nature of roll-ons, alcohol is more prevalent in these types of deodorants compared with sticks. If you have sensitive skin, you may consider avoiding alcohol and choosing stick deodorant to prevent rashes. Carefully read all ingredients beforehand. In the end, it's mainly about personal preference, as results with roll-on and stick deodorants are essentially the same. Ideally, both fight bacteria to keep you safe from B.O. for the whole day. Both roll-on and stick deodorants glide on smoothly. Gel-based roll-ons may leave your skin with an immediate wet feeling, but keep in mind that your armpits may never be completely dry the whole day, as deodorant doesn't block pores to prevent sweat like an antiperspirant does. While you may find the wetness to have a cooling sensation on the underarms, you may consider stick deodorant if you prefer a more solid application. Health Guidance: Antiperspirant VS. Deodorant: Which One Really Works?